On this Monday, we are excited to perform the wedding ceremony and reception as the Ashton Gardens wedding DJ for Ellie and Josh. They are from out of town in New Mexico and New York and decided to meet in the middle and have family fly in to the Houston area for their wedding service 🙂 Happy Monday! Are you having a wedding at Ashton Gardens and still looking for your DJ? 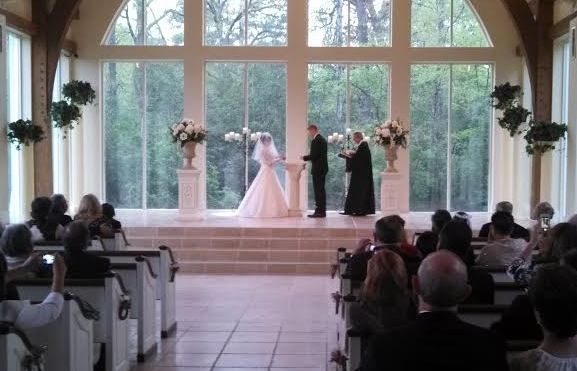 You have to meet special insurance requirements and the ceremony system requires experience so please contact us today as we have great experience dealing with this beautiful venue.